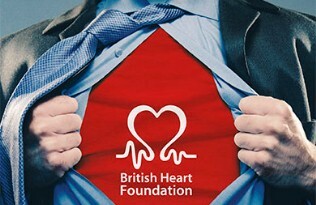 Jubilee Hall Trust is thrilled to announce a yearlong Charity of the Year partnership with the British Heart Foundation! The connection between physical activity and heart health has been long established, and over the next year, our two charities will take that connection to the next level. JHT will organise a series of events and campaigns in our gyms and out in community to support the British Heart Foundation and to get more people engaging in heart-healthy physical activity. Funds raised through partnership events will be split between the British Heart Foundation and the community programmes at JHT, such as its cardiac rehabilitation programme and work to tackle inactivity in our communities. The British Heart Foundation was nominated as JHT’s charity of the year in large part due to the longstanding dedication to heart health displayed by our staff and in our clubs. JHT class instructor Chrissie Mullings-Lewis just recently celebrated her 20th year organising a team for the Hampstead 4 Heart walk on Hampstead Heath in support of the BHF. The trust has also operated free cardiac rehabilitation programmes at it’s Colombo Centre and Armoury Gym.